As a result of the flooding on Boxing Day last year two of my three regular Kingfisher sites have been washed away and with them the Kingfishers that had occupied these sites for more than thirty years. So it was to my third choice site, deep in the heart of Bowland, that I went this year for my photos. As I sat in my hide in the river I was taken back to the very first Kingfisher I filmed in 1973 which was only a hundred yards or so from my present position. I was disturbed on that day by a pack of hounds that were working their way up the river searching for Otters! Thankfully Otter hounds have been banned years ago and today Otters and Kingfishers are more plentiful than they were in the halcyon days of yesteryear. In the 43 years since those first Kingfishers I have spent more than a thousand hours in my hides taking photos and film. You might say that there is nothing new to film but you would be wrong. 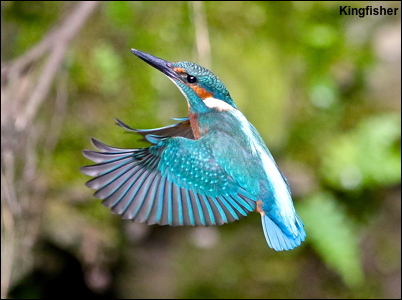 Every session in a hide could potentially produce unique pictures and an event occurred at this latest Kingfisher that I have never witnessed before. It made no difference to the latest young and they fledged the following day when I was on holiday! !